What’s the Fastest Way to Find a Real Estate Deal? Talk about keeping it simple, finding deals can happen real fast. Open your eyes whenever you leave your home. 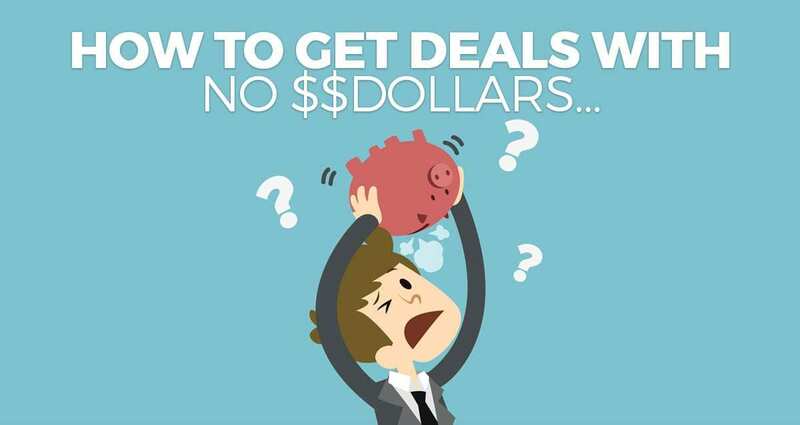 Want the quickest way to find a deal? You’re at your computer, right? Click the “real estate for sale” link from the menu. Narrow the parameters of your search – Craigslist works by filters based on keywords. Hit the “reply” button and make contact with the seller. That does NOT mean you will send the seller a letter or card or flyer. You can find all sorts of properties on Craigslist. It’s a highly underutilized tool that more real estate entrepreneurs should be using more often. But it’s not the only one. There are lots of sites online that show you in minutes just how many deals are out there just waiting for you to find them. In fact, you’ll see listings from some of these other sites on Craigslist! So, what’s all this about “seller will carry” and why should you care? Lots of people can’t believe a seller would be willing to help you buy his/her property. But it’s true. You can do it all day long! But you need the right skills. Like you need to know how to talk to sellers, buyers and investors so you can find properties and make offers on them. Whether you are looking for deals as a wholesaler, fix-n-flipper, rental property owner… whatever you want to do inside real estate… you need to go through the first upfront processes. Whenever you can get the seller to work with you the better the deal! There are different ways to work with the sellers, too. It’s called creative acquisition strategies and creative financing strategies! You’ll see that there are about 6 great ways to get a property under contract creatively. These are tools you need to learn, and you have to understand that it’s not a one-size-fits-all thing. You will use different strategies for different deals. You’ll structure them in a way that’s a win-win for the seller and you. When you bring investors into the deal as lenders or partners, you get to structure that part as a win-win, too. Should you worry about the details when you’re looking at properties? You might be surprised, but you don’t concern yourself with any of the details until AFTER you’ve determined that you’ve found a property that fits your criteria and “go” formula. You don’t concern yourself with the details during your initial phone call with the seller. You will deal with the details after the seller has received your offer and you have negotiated the deal. That is when you do your discovery work. None of it matters till that point. If you find something amiss during the due diligence process, it’s time to renegotiate your terms. That’s what we investors call bargaining chips. For example, maybe you learn that there’s a lot of things that need to be fixed in the property that the seller had not previously disclosed. Does that mean the deal is dead? You can ask the seller to fix those things… or shave a chunk off the price… or something even more creative. Maybe you discover that the seller isn’t the person on the title… he’s not the one with the actual rights to sell the house. But it may be a misunderstanding or something that can be worked out given more time. The long and short of it is that you are working with the seller; the seller is working with you. In a way, you’re a team that is trying to get a deal done. It benefits you to be a good communicator. Shy people can do lots and lots of deals. They just can’t let their shyness get in their way of talking to sellers. Remember… sellers are just people. They put their pants on one leg at a time… just like you. My point is that they are human and you shouldn’t be afraid to have a chat with them to see how you can solve their problem through your real estate transactions. In this case, they’ll be helping you, too, by carrying some of the mortgage on the property you found through Craigslist, right?